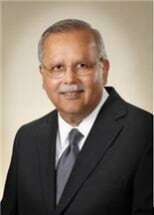 Ramesh Gurnani is a partner of the firm with over 22 years of experience in the practice of law. Mr. Gurnani joined the practice in 1992 as a general practitioner and handled diverse legal matters including immigration, litigation, commercial transactions, divorce, adoption and real estate. Since 1998 he has devoted his full time attention to the practice of Immigration and Nationality law. Over the past 22 years, Mr. Gurnani has handled a wide variety of Employment Based Immigrant (such as EB-1, EB-2, EB-3, EB-5) and non-immigrant (L's, H's, E's, O's) matters, representing individuals and corporations. He has represented Corporations in I-9, FDNS and LCA audits. He has also handled family based immigrant and non-immigrant matters as well as Naturalization and Citizenship applications including dealing with complex Naturalization matters and filing requests for re-hearings. Mr. Gurnani guides corporate and individual clients in dealing with simple as well as complex immigration issues with a focus on the client's immediate as well as long term goals. He has filed successful labor appeals with the Board of Labor Certification Appeals (BALCA) and Non-Immigrant as well as Immigrant petition appeals with the Administrative Appeals Office (AAO). Mr. Gurnani has successfully responded to Requests for Evidence (RFE), Notices of Intent to Revoke (NOIR) and Notices of Intent to Deny (NOID). Prior to joining the firm in 1992, Mr. Gurnani worked in the valuation and M & A section of the tax department of Coopers & Lybrand. In this position he worked on a wide variety of valuations of tangible and intangible assets; mergers; acquisitions; and related tax audits. Prior to that he worked at the NJ State Department of Energy, in multiple roles of engineer, financial and engineering analyst and IT and Data Center Manager. Before that he worked in analysis and research at the University of Michigan. After obtaining a Bachelor's degree from the prestigious Indian Institute of Technology (IIT) - Bombay, in India, Mr. Gurnani obtained his MBA from the University of Michigan in Ann Arbor, Michigan. Subsequently, Mr. Gurnani obtained his Juris Doctor (J.D.) from Rutgers University in 1990 and was admitted to the NJ State Bar and the Federal Bar. Being an immigrant, Mr. Gurnani is cognizant of the issues and needs of his individual clients. Given his rich and diverse background across industries and functions such as engineering, sciences, IT, finance, tax and accounting, Mr. Gurnani is well versed to represent employers in various industries and represent a wide variety of professionals seeking labor certification and permanent residency. Upon taking on a corporate client, in addition to focusing on the immediate need to file an immigrant or non-immigrant petition, Mr. Gurnani, also, reviews the client's record keeping for I-9's, LCA, public access and PERM audit file. He then assists clients by conducting an audit, reviewing the results and setting up a process for improving record keeping so it complies with the law. When consulting individual clients, Mr. Gurnani listens carefully and then provides an honest and straightforward assessment on the options and the potential outcomes. When representing a client, Mr. Gurnani does so with dedication and passion.